I'm from New England (southeastern Massachusetts), so that's where our adventure begins. Day #1, we spent climbing Mount Greylock in Western MA. It's the highest point in the state (which is really not saying a lot). 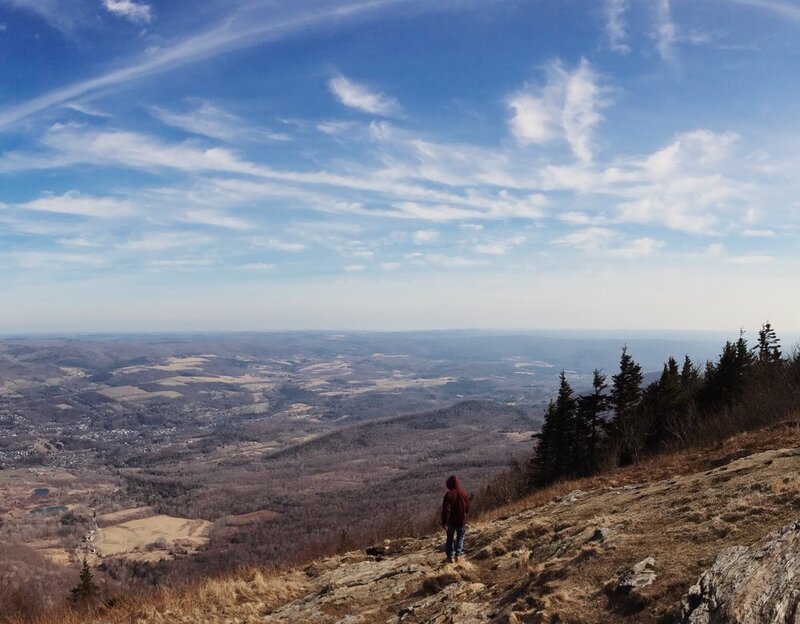 The view was truly incredible, though, and from the top you can see Massachusetts, Vermont, New York, AND New Hampshire. It was really spectacular and a lot more than I had been expecting.